Sensei Henderson teaches Judo and has also taught well over 2000 students in his 48 years of teaching. Friday only adult Judo class 18 and up.. The class time is 6:00 to 8:00 pm The class dues for adult Judo are $70 per month. We do not have contracts. Uniforms and yearly dues are extra and mandatory. Would you like more information on hours, classes and programs available at Henderson's Martial Arts Academy? Please contact the school with your questions. Update the details, Write a Review or Report Error of Henderson's Martial Arts Academy. View all Dojo in Avon Park or in Zip code 33825. 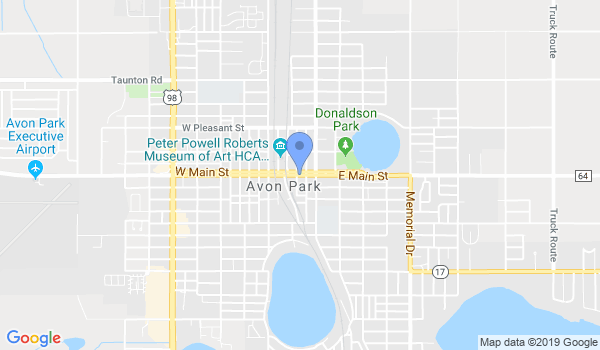 This Chart shows the Martial Arts Styles offered most in Avon Park, Florida area. View a list of Dojo in Avon Park, or enter your address below to find schools closest to you.